We will be offering an optional $2 Ace Pot this year. If we have 6 Aces throughout the day the Ace Pot will be split into 6 equal portions and each person that Aced will get a share. If, of course, you got in the Ace Pot. If you're not in it, you're S.O.L. Get two Aces? Get two shares of the Ace Pot. You may pre-register at all the Wednesday Doubles Rounds between now and 10/6/10. You may also pre-register at all the Thursday Fling For Food rounds between now and 10/7/10. I will also be coming out to Blue Angel Park on Sunday morning, 9/19/10 in an attempt to get some of our Blue Angel Brothers & Sisters signed up. If you can't make any of these sign up opportunities, James will be setting up a paypal account next week as another option. We will be posting details on this option then. You may also call me at (850) 390-2177 and I'll meet you somewhere to get you registered. 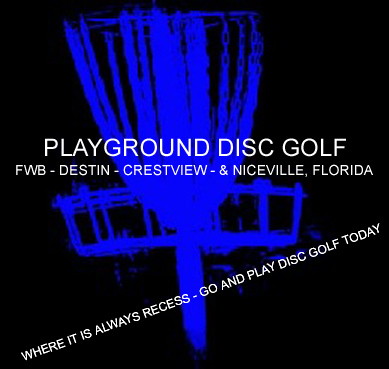 Cash is preferred, if you must pay by check, please make it payable to The Emerald Coast Disc Golf Club. For you die-hards out there, (you know who you are) there will be a Bag Tag round following the Ace Race.